aloe vera: Fresh, light citrus and fruity top notes slow dance with sweet green notes. Together they create a clean floral body with an underlying hint of a walk in the mossy woods. eucalyptus: Wow! Koala bears eat this stuff? This powerful, fresh and exhilarating essential camphoraceous oil is amazing at clearing and soothing the ol’ nasal passages. green: Inspired by Irish landscapes, verdant greens and enchanting florals abound in this richly hued fragrance. Highlighted with sparkling citrus and warmed gently with garden herbs and exotic woods. ​green tea: It’s Tea Time! Clean and calming, this deep oriental tea is blended with sweet herbal undertones and a bit of welcoming zest. It’s very laid back and plays well with others. herb citrus hyacinth: A dynamic trio! An surprisingly peppy blend of green, crisp citrus notes, the sweetness of lovely hyacinth with a sprig of mint. LOVE IT! sandalwood: This scent is very unisexy! Consisting of sweet, warm, woodsy, musky and amber notes, it is appealing to both men and women. This classic scent blends well with others. 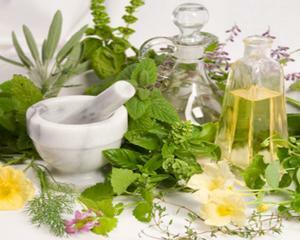 ​tea tree oil: This oil contains the antiviral properties of tea tree. It makes a good room deodorizer and air cleanser. Diffused into the atmosphere it has the ability to destroy molds, fungi and bacteria. Its properties are anti-infectious, antiviral, antiseptic, expectorant, anti-inflammatory, and digestive stimulant. Useful for the treatment of oily skin and acne. white tea: This soft, clean scent is reminiscent of the popular Plumeria aroma. However, White Tea has it’s own unique qualities and a slight fruit based top note. ylang ylang: Properly pronouncing ylang ylang, (“ee-long, ee-long”) is befitting of this ultimately sweet, soft floral, that when worn, lasts an “ee-long, ee-long” time!